Meeting Minutes – March 2015 | F.F.A.M. 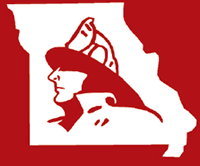 President Kenneth Hoover called the meeting of the Board of Directors of the Fire Fighters Association of Missouri to order at 9:00 a.m. Sunday, February 1, 2015 at the State Fair Fire Department in Sedalia, Missouri. President Kenneth Hoover, Little Dixie FPD; First Vice President Tim Bean, West Plains FD; Secretary Treasurer Jaime Miller, Johnson County FPD. District 1, Terry Wynne, Galt FPD; District 2, Greg Wright, Shelbina FD; District 6, Richard Gordon, Cole County FPD; District 7, RB Brown, Eureka FD; District 11, Monty Thompson, Kearney FPD. District 1, Janet Cain, Braymer FR; District 2, Vernon Cash, Shelbina FD; District 4, Jonathan Evans, Lincoln FD; District 6, Gary Berendzen, Cole County FPD; District 10, Greg Brown, Eureka FPD; District 11, Roger Meyers, Concordia FPD; District 11, Ryan Miller, Norborne FPD; District 14, Glenn Dittmar, South Central Buchanan County FD. Past President Keith Smith, Warrenton FPD; Historian Kay Asher, Wentzville FPD. David Hedrick, MU FRTI; Larry Jennings, Larry Eggen, Johnson County FPD; Donald Vaucher, Harriett Vaucher, Eureka FPD; Grant Oetting, Higginsville F&R; Holden Peel, Norborne FPD; Rick Johnson, Knob Noster FD. President Hoover advised for the minutes to reflect that a quorum was present. President Hoover asked for additions to the agenda. Glen Dittmar moved to accept the agenda as presented. Tim Bean seconded the motion and all approved. President Hoover asked for corrections or additions to the December 7, 2014 meeting minutes. No corrections were made. Terry Wynne moved to accept the minutes as presented. Greg Wright seconded the motion and all approved. President Hoover asked for a review of the December 2014 financial reports. Tim Bean moved to accept the financial reports as presented. Monty Thompson seconded the motion and all approved. David Hedrick with MU FRTI reported Winter Fire School will be held February 6-8. Registrations are still being accepted. There is a higher enrollment this year so far. The new grain engulfment rescue simulator was received this week. Train-the-trainer courses will begin in March. MU FRTI is looking for corporate partnerships to help with funding materials so that the training can be offered free to departments. The approximate cost for an 8 hour training will be $3,500. MU FRTI is currently taking interest requests however, no classes are being scheduled yet. The simulator is strictly a rescue prop and not a fire prop. Chief Jennings reported that he has been working on the SAFER grant. The application period is February 9 – March 6 for the 2014 grant period. Secretary Miller presented information from Billion Auto Group which offers state bid concessions for firefighters. The auto group is located in Iowa as well as several other states. Billion Auto Group would like to advertise in the newsletter and make available their discount program to FFAM members. Discussion followed. The Board authorized to proceed with advertising and the benefit program for FFAM members. Larry Jennings advised that a couple of nominations have been received. The nomination period ends February 28. 1st VP Bean advised that the Sprinkler Coalition Board will be holding a symposium March 10 in Columbia. The symposium is aimed at educating the fire service on sprinklers. The board is attempting to raise funds for the symposium. 1st VP Bean moved that the FFAM help sponsor the Sprinkler Coalition Symposium with a $250 donation. Terry Wynne seconded the motion and all approved. 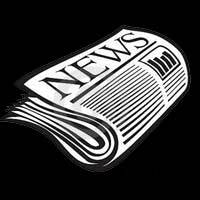 Secretary Miller advised that the proposed bylaw changes are in the current newsletter and will be presented for approval at the convention. 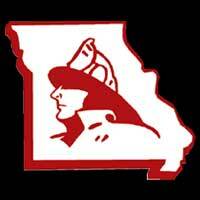 David Hedrick reported that the Missouri Fire Chaplain’s Corp conference will be May 4-5 in Arnold, MO. There will be an introduction course for fire chaplains as well as CEU’s. Greg Wright reported that a training course, “Grieving Behind the Badge” will be held Oct. 16-17. More information will be available at convention. Richard Gordon reported he has viewed the contest site and there will be adequate room. The committee would like to get as many pre-registrations as possible to help expedite the process. Gordon also discussed possible joint fundraisers with Honor Flight and the FFAM. 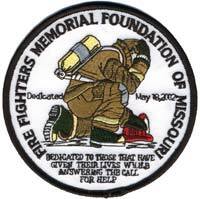 The Honor Flight group will possibly be hosting a Poker Run from the Memorial and may request assistance from FFAM members. He will present more information as it becomes available. The dates for the 2015 convention are May 1-3 at Tan-Tar-A. President Hoover advised that a 2014 expense report has been received from Jeffco regarding the 2014 convention. The committee showed a profit of $7,482.65 with 10% given back to FFAM for a total of $748.27. Larry Eggen advised that he and Rick Dozier will be attending a train-the-trainer program hosted by the Missouri Propane Association in Prescott, AZ. The training is completely funded and will allow them to bring the program back to Missouri with the intention of hosting the training to Missouri departments. More information will be provided as it becomes available. RB Brown advised that he is working with the State Fair Committee on the cost of providing tickets and wrist bands to the State Fair for the poster award winners. Greg Brown advised that the new legislative session is running. The Governor’s budget included $200k less in firefighter training so they are currently working on getting the funds added back into the budget. HB 714, HB 444, HB 275, SB 210 and SB 233 are all fire service, 9-1-1 and EMS related bills that are currently being reviewed. He will continue to send out legislative reports each week with pertinent information relating to each of these. Secretary Miller reported the following membership counts: 346 Directors/Councilman; 184 Retired; 10 Associate; 10 Sustaining; 11 Corporate, 263 Departments; 5174 Active. Letters of recommendation for the Silver Dollar City Fireman’s Landing opening day are still being accepted and can be sent to Ron Baker or a District Director. Keith Smith has confirmed that those directors up for election in 2015 will run again. Keith Smith advised that he will not be attending the benefit summit in Oklahoma City in February. NVFC is currently working on several surveys aimed at getting goals and ideas for the organization. Grant Oetting advised the scholarship deadline is February 28. Monty Thompson advised that the 2015 State Fair is August 13-23. 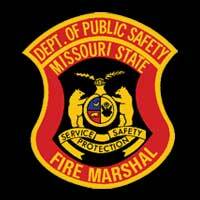 Missouri State Fair FD applications are now being accepted. The deadline for the next newsletter March 1. Kay Asher advised she has 11 more boxes of items to go through most of which are badges and uniforms. She is currently looking at a separate storage unit to move the items to. Keith Smith advised that discussion is being held on the cut-off for death submissions for the memorial. The current deadline is December 31 but the committee is looking at extending the deadline. Discussion followed. Terry Wynne moved that FFAM supports the Memorial Foundation’s consideration for moving the submission date. Greg Wright seconded the motion and all approved. A special thanks to Harriett Vaucher for the Maltese Cross vases for the Memorial. Doc Kritzer is taking information for engraving so get your information in ASAP. Friday, February 6, Texas Roadhouse in Columbia will be donating 10% of sales back to the Museum Project. Richard Gordon advised that the Auxiliary is accepting t-shirt donations for the t-shirt quilt that will be raffled off during the convention. RB Brown moved to adjourn the meeting. Glenn Dittmar seconded the motion and all approved. President Hoover adjourned the meeting at 10:45 a.m.